Dov Chernichovsky (Ph.D. Economics) is professor emeritus of health economics and policy of Ben-Gurion University of the Negev, Israel. He currently teaches at the Hebrew University of Jerusalem, is a Research Associate with the National Bureau of Economic Research (NBER) in the USA, coordinates research at the Taub Center for Social Policy in Israel, and chairs the Israeli National Nutrition Security Council. Dov has been consulting for the World Bank where he was staff, serves on the board of the Israeli Cancer Society, the Israeli Family Planning Association, and the Association for the Advancement of Education in Israel. He is a member of the Baxter Prize advisory board, and on the editorial boards of several journals. 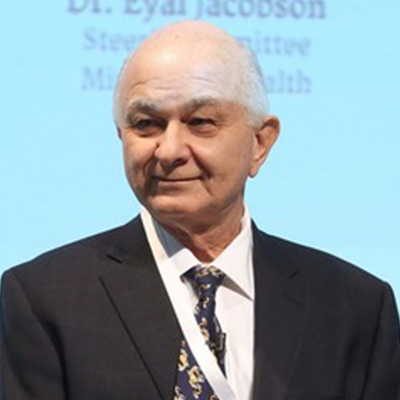 Following work on investment in human capital, including pioneering work on the economics of nutrition, Dov has become a leading writer on issues of health system finance and organization. He articulated a framework to study health systems, known as the Emerging Paradigm, and the applications of Hedonic Prices and Fuzzy Logic to the study of financing of health systems; and helped formulate the potential lack of effect of aging on aggregate healthcare expenditure over time. His work has been published in the leading scientific journals. Dov was a member Israeli State (Blue Ribbon / Royal) Commission of Inquiry into the Israeli Health Care System between 1998-1990 that led to the national health insurance legislation that was enacted in Israel in 1995. He served on other national commissions an adviser to the Israeli parliament. Dov worked for the US and German international aid agencies and the Australian government. On behalf of the World Bank, he worked in Botswana, India, Indonesia, and played roles in health system reform in Rumania, Russia, and now in Mexico, Colombia and Costa Rica.